Motorola may not have the high profile of a Samsung or an Apple but the firm from Chicago (now owned by Lenovo) has been putting out some very appealing handsets over the last couple of years. 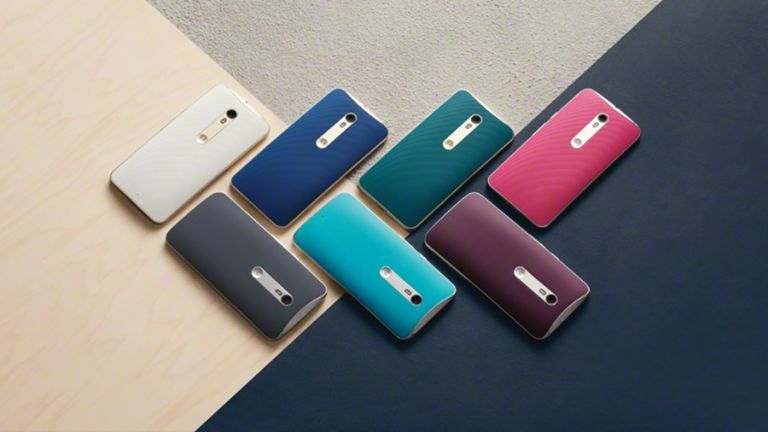 Here's why you should be seriously considering Motorola's latest flagship — the Moto X Style. For our readers in the States, the latest high-end Moto X is called the Moto X Pure Edition, but we'll use the international naming here. And bear in mind that you can't rush out and buy it today: you need to wait until September to put your money down. Motorola is definitely on a run of form as far as phone design goes — it's making some of the most stylish-looking Android phones out there (there's a reason Google chose the Moto X template for the Nexus 6). The slightly curved back makes the phone comfortable to hold in the hand and the metallic strip around the rear and the trim around the sides add some extra touches of class. And don't forget the customisation options: thanks to the now well-established Moto Maker programme, there are a total of 126 different design permutations for your new phone, with backing materials including leather, wood and silicone available, as well as a broad choice of colours. Not only will you get a very good-looking phone, you'll also be able to make it distinctly yours as well. So far all we have to go on is Motorola's marketing blurb and a quick hands-on with the device, but the early indications are that the 21-megapixel snapper inside the Moto X Style is well worth waiting for. And it needs to be too - camera performance and picture quality are two areas where Android flagships have traditionally lagged behind the speedy and accurate optics built into Apple's iPhone. From what we can tell so far, the shutter speed is quick, the test pictures look great, and there's also the option of being able to record in stunning 4K video (that's frames of 4096 x 2160 pixels in size). Plus you get all the usual software modes like burst and panorama that we've always found useful on previous Motorola phones. Not only does the Moto X Style have a gorgeous 5.7-inch screen, it has very thin bezels at each side which help to accentuate the display's overall quality. The 1440 x 2560 pixel resolution (which works out at a very impressive 520 pixels-per-inch) is one of the best around at the moment and you can really tell the difference from a 1080p display. Again, until we get a full look at the Moto X Style we won't know everything about the phone's screen - there are a few small gaps in the specifications Motorola has released so far - but based on what we saw on stage in July and the hands-on pictures of the handset this is a smartphone you're going to love looking at. For starters you get the latest 5.1.1 version of Android Lollipop, unfettered by skins and bloatware, together with all the goodies that brings - advanced notification management, smart locks and trusted places, support for multiple user accounts, easy alternative launcher selection, an integrated battery saving mode and more besides. You can expect a swift upgrade to Android M when the time comes too. Then there are the neat extra touches Motorola usually puts on top, like more advanced voice control for making the phone do your bidding from the other side of the room, plus the Assist app (for automated phone management) and the Connect app (for fitness tracking and easy connections to other devices). All in all it's a very impressive package as far as the software goes. Based on the components inside the Moto X Style, this should be a phone that's as snappy as they come. It features a hexa-core 1.8GHz Snapdragon 808 processor, a hefty 3GB of RAM and up to 64GB of storage (there's also a microSD card slot, which will please users disappointed to see expandable storage disappearing from other phones). Battery life should be impressive too: the 3,000mAh battery is a decent size (though not quite as big as the one on the Moto X Play) while it comes with Motorola's very handy turbo-charging technology that means you have to spend less time attached to a plug socket. And after all that there's the price - just $399.99 unlocked in the US (with international pricing to be confirmed), a very appealing price for what you get.